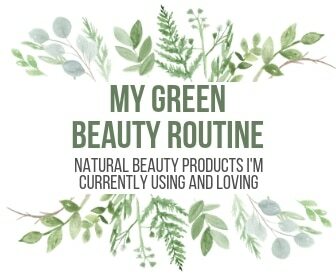 Want a safe and non-toxic way to clean your bathroom? 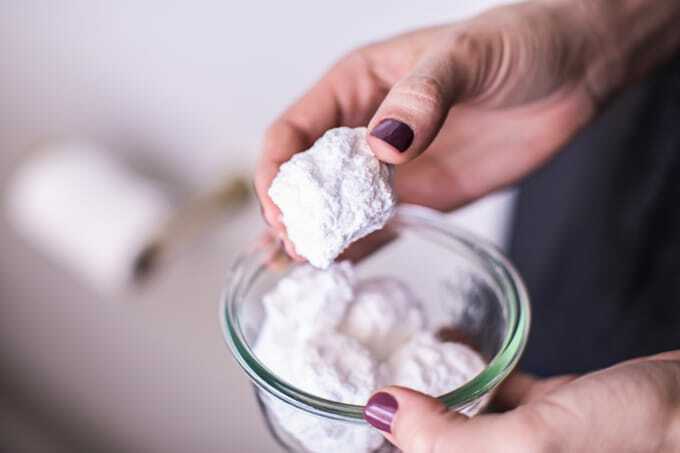 This DIY Toilet Cleaner recipe is a natural and effective way to clean and deodorize your toilet. 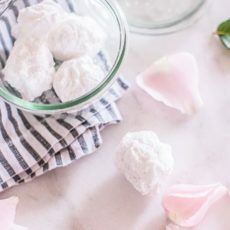 To make fizzy homemade toilet bombs, pods or tablets, all you need is five natural ingredients (namely baking soda, citric acid, and essential oils) for a deep cleaning you won’t believe (no scrubbing required)! Raise your hand if you like cleaning the bathroom. Yeah, that’s what I thought. I mean who actually enjoys scrubbing their toilet? Well guess what, now you don’t have to! 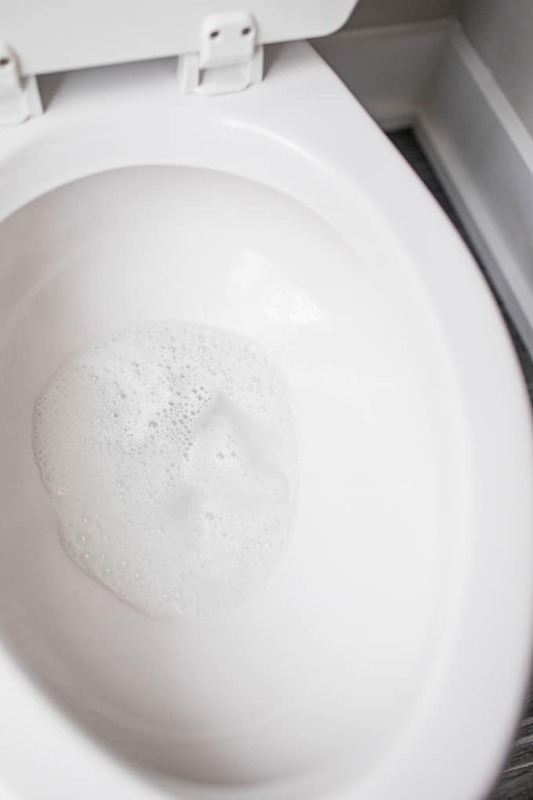 This easy, non-toxic and effective toilet bomb recipe just gets tossed into your toilet bowl every few flushes, fizzes up and cleans and deodorizes your toilet like nobody’s business. 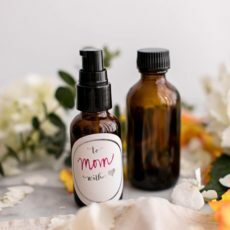 Unfortunately, like most store-bought cleaning products, tons of known carcinogens, hormone disruptors and skin irritants make up the ingredient lists of most brush cleaners. Hydrochloric Acid: Not only does this dangerous chemical cause severe skin burns and eye damage, it’s also toxic if inhaled, causing pulmonary edema, asthma, respiratory irritation, skin irritation and eye corrosion. Sodium Hypochlorite: Evidence of skin irritation/allergies/damage (think severe skin burns and eye damage), acute aquatic toxicity and respiratory effects (it’s a known asthmagen). Likewise, this chemical often contains impurities like Chloroform, which is a carcinogen. Hydroxyethyl cellulose: Though there are no known health side effects, there is evidence of biodegradation, as the substance is persistent in the environment with moderate acute toxicity to aquatic life. So it’s very UN-environmentally-friendly. 1,3-Dichloro-5-ethyl-5-methylhydantoin: Just try pronouncing this chemical, let alone understanding what it means. Here’s what you do need to know: it’s VERY toxic to aquatic life, causes severe skin burns and eye damage, is toxic if inhaled (which you are 100% doing while cleaning) and may cause an allergic skin reaction. Artificial Colors/Dyes: This unspecified ingredient found in many cleaners may contain ingredients with potential for cancer, damage to DNA, and can cause skin irritation/allergies/damage. Pass! And even if you can find some natural cleaners that aren’t full of toxic chemicals, you’ll likely have to shell out a pretty penny. In fact, most store-bought toilet cleaners will cost you at least $8-10 minimum. 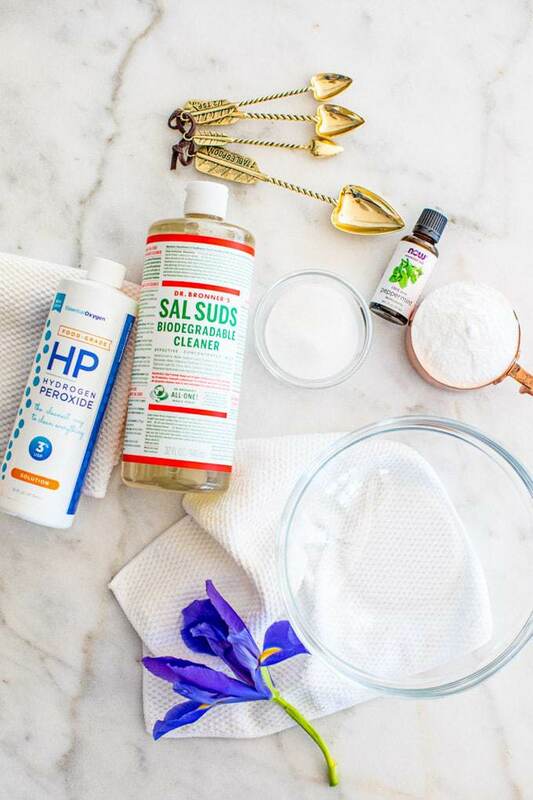 Hydrogen Peroxide, a natural alternative to bleach that’s eco-friendly, a powerful disinfectant, whitener and stain remover, and bacteria killer. It couldn’t be easier to make these DIY toilet cleaning tablets or pods. All you need are the 5 natural ingredients listed above, a large glass bowl and either a silicone mold or a sheet pan lined with parchment paper. See the recipe below for detailed instructions or pin the graphic above for a step-by-step guide. 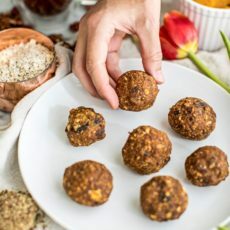 You can find all of the cleaning ingredients you need for this DIY toilet bomb recipe at Sprouts Farmers Market, which specializes in healthy, natural and organic food and wellness products at affordable prices! In fact, their Vitamins + Body Care section is one of my favorite places to buy affordable, natural ingredients for DIY recipes. 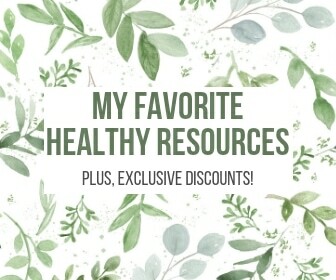 From superfoods to probiotics, homeopathic medicine to non-toxic shampoo and face wash and essential oils, Sprouts has one of the best natural wellness sections. They’ve also got a great bulk bin section, which is where I found the Citric Acid for this recipe. 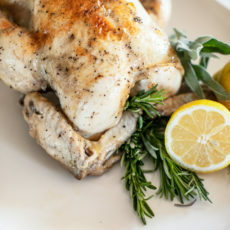 The first time I made this recipe, I just used a sheet pan. But the toilet tablets expanded a bit as they dried and I ended up having to reshape them. So the second time I made the recipe, I used a silicone mold, which really helped the pods maintain their shape and kept them from all merging together on the sheet pan. Simply plop a toilet bomb into your toilet bowl every 5-10 flushes to keep the toilet bowl clean and your bathroom smelling great! When the toilet bombs react with the water in your toilet bowl, they’ll start to fizz and that’s a good sign–it means it’s working!! If you have some extra tough stains, you may still need to get your toilet brush out and give it a good scrub, but once you use these bombs regularly, you’ll likely never have to actually scrub your toilet again. 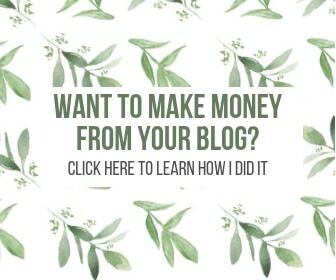 If you try this DIY Toilet Cleaning Bomb Recipe, be sure to share a photo and tag me @rootandrevel on social media–I’d LOVE to see how it turned out for you! Want a safe and non-toxic way to clean your bathroom? This DIY Toilet Cleaner recipe is a natural and effective way to clean and deodorize your toilet. 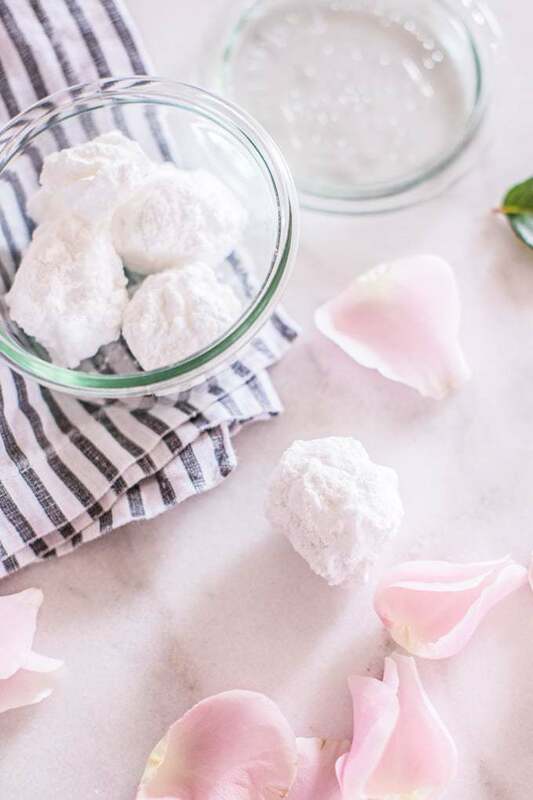 To make fizzy homemade toilet bombs, pods or tablets, all you need is five natural ingredients (namely baking soda, citric acid, and essential oils) for a deep cleaning you won't believe (no scrubbing required)! In a large glass bowl, whisk baking soda and citric acid together until blended. Very slowly, add sals suds, hydrogen peroxide and essential oils, mixing slowly as you go to ensure you don't activate the dry ingredients). The mixture should be dry enough that you can mold it into balls, but wet enough that it doesn't fall apart. 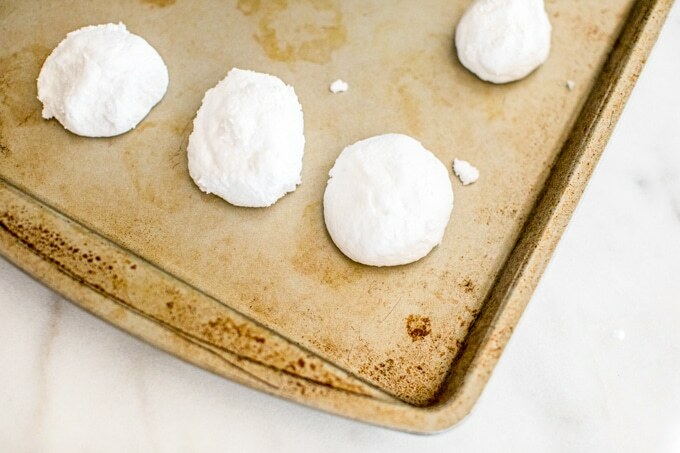 Allow the toilet bombs to air dry, about 6-8 hours or overnight. Transfer to a glass jar and store in the bathroom. I place these in the bowl of my toilet every 5-10 flushes to keep the toilet bowl clean and smelling great! I don’t know of specific brands but any castile or natural soap should do the trick! Hope it works out for you! Do you drop one in AFTER the 5th to 10th flush so it sits in the bowl awhile? Yep – it really only needs a few minutes, but you can leave it in longer with no harm. Oh, it’s awesome! Looks like air cakes! I will definitely try to make such bombs with my daughter. LOL – air cakes, that’s awesome! Hope you love ’em! I love this! 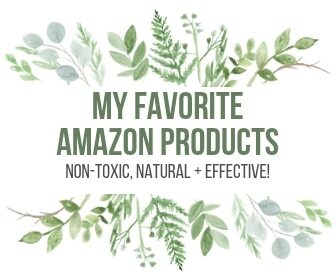 I am all for natural products that are better for the environment. Not having to scrub the toilet as often makes me give this an A++++! I can’t wait to try it! LMAO!! I’m so with ya! 😉 So happy you love this.